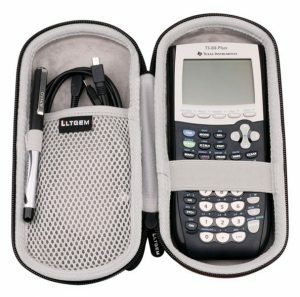 Risk-free Purchase: This Case will fit and protect :Texas Instruments TI-84, 83, 85, 89, 82, Plus / C Silver Edition Graphing Calculator. 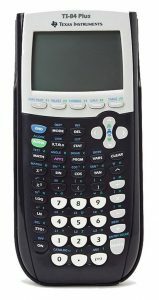 HP 50g Graphing Calculator - Casio PRIZM / fx-9750GII / fx-9760GII Graphing Calculator. 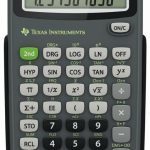 TI-73, 76, 78, 80, 81, 82, 83, 84, 85, 86, 89, 30Xa, ECO RS, 30X IIS, 36X Pro, 30XS, 30XA, 30X IIB, Advanced, Nspire, Explorer, Parcus, Stats, Plus / C Silver Edition, ViewScreen, MultiView Touchpad, BA II PLUS / Professional, and many other brand. Safety Guarantee: Hard EVA Material is Shockproof dustproof and waterproof to protect your calculator from impacts and splashes. Super Convenient: Comes with comfortable hand strap to carry easily and specifically designed mesh pocket perfectly for cable and other small accessories like pen. Inner strap helps fix your precious calculator. Considerable Design: Smooth but strong zipper gives you a better using experience. High quality EVA material for durability. Texas Instruments TI-84, 83, 85, 89, 82, Plus / C Silver Edition Graphing Calculator. HP 50g Graphing Calculator - Casio PRIZM / fx-9750GII / fx-9760GII Graphing Calculator. TI-73, 76, 78, 80, 81, 82, 83, 84, 85, 86, 89, 30Xa, ECO RS, 30X IIS, 36X Pro, 30XS, 30XA, 30X IIB, Advanced, Nspire, Explorer, Parcus, Stats, Plus / C Silver Edition, ViewScreen, MultiView Touchpad, BA II PLUS / Professional, - AND Other Brand. Build-in super quality velvet which is an excellent buffer! Inner strap helps fix your precious calculator. ​Case is Made of Superior Hard EVA for Durability. Caseling CASE for Graphing Calculator TI-84, 83 / Plus / CE. + – Hard Carrying Travel Storage Case Bag – Includes Mesh Pocket. Advanced MultiView display scientific calculator, with higher-level math and science functionality, is ideal for computer science and engineering courses in which graphing technology may not be permitted. 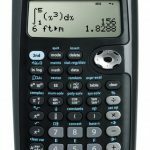 Robust, professional grade scientific calculator that combines statistics and advanced scientific functions for high school math and science. Ideal for general math, algebra, geometry, statistics and general science. 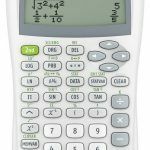 High-functioning calculator with full suite of basic scientific and trigonometric functions, ideal for general math, pre-algebra, algebra 1 & 2, trigonometry & biology, is approved for use on SAT, ACT, and AP exams.